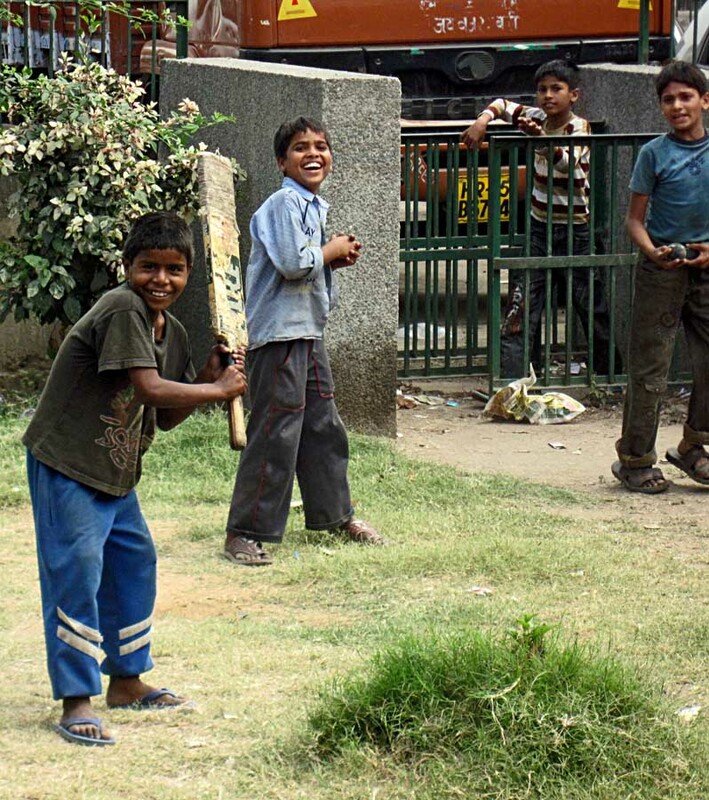 These are pictures of poor children playing cricket in an abandoned ground in a public place in an urban area. 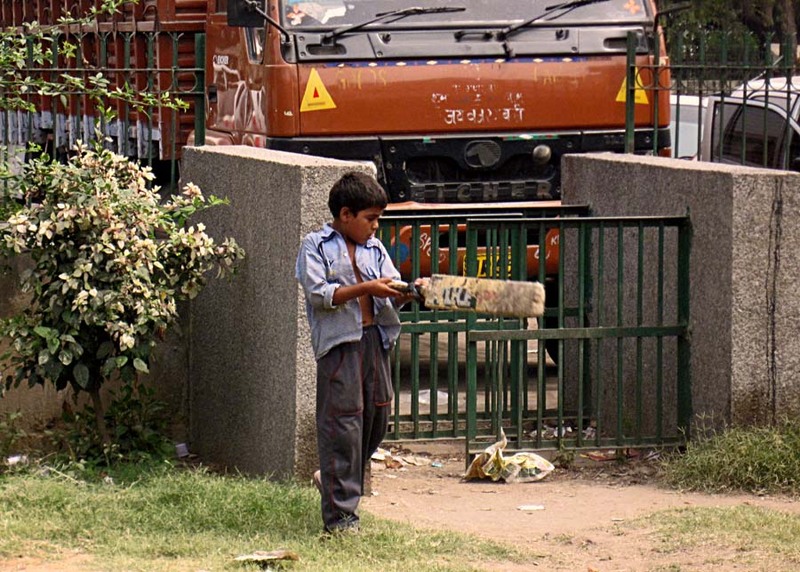 Cricket is very popular in India but most children don't have a place to play as most schools do not have proper playgrounds. A child hitting the cricket ball gingerly. 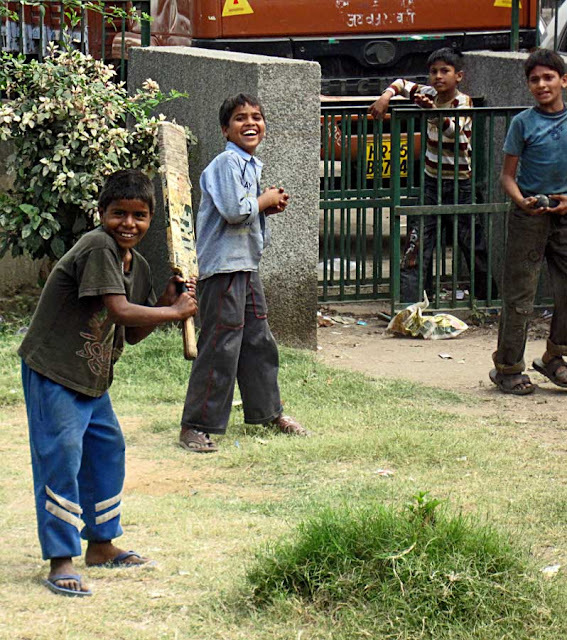 The dark coloured ball can be seen directly above the edge of the bat. Engrossed in the game of cricket. The children enjoying the camera! One of them is posing with the bat. Or try the label "Children" for all pictures of kids on this website.